This rare piece of exquisite furniture is imported direct from Italy. The buffet is constructed of natural, high quality wood with an incredibly smooth finish. 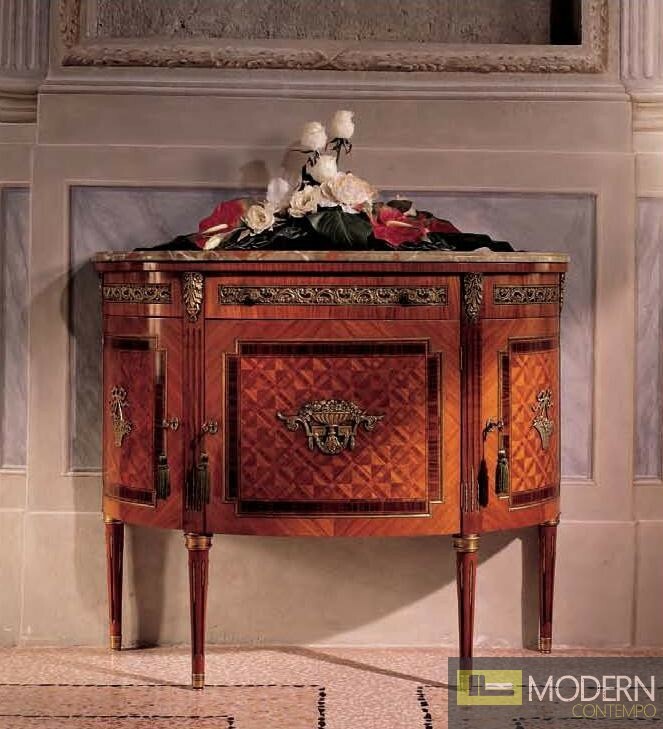 It has ornate drawer pulls and accents allover, revealing the incredible luxury of this piece.